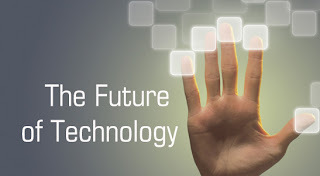 Recently, I have been thinking a lot about how technology has progressed so rapidly in the past few years. This leads me to think about how fast it will progress in the coming future. The trend I have observed, is that people prefer to carry fewer things with them. Google has been pushing Google Wallet for payments via NFC, while Apple is working on Passbook for a similar purpose. This would enable people to ditch their credit cards for their phones. Already, wallets are getting thinner with preferences towards plastic over cash. Soon enough, IDs will also be securely stored on your cell phone, so you don't need to carry a physical ID card. People would like to leave behind their home and car keys so they can have lighter pockets. There are many door locks in the market which can open with a smartphone. As for cars, Viper and other manufacturers have come up with solutions to unlock and start your car from your smartphone. At the end of the day, all you are left with is a smartphone in your pocket, which can help you do everything. How cool would it be if you didn't even need to carry that smartphone? Then you would not need to worry about forgetting anything at home when you are headed out the door in the morning. I think eventually we will be able to do that. With the push of cloud computing, it should be fairly easy to access all of the same data which is on your smartphone from any other device or a terminal. But then you are restrained by the accessibility of a terminal. Since the terminal's only function is to verify your identity, and access all the data from the cloud, it only needs to be a dumb terminal. All it would need is a touchscreen (just like on your phone) for you to be able to interact with it. With time, these touchscreens are getting so cheap, they should be easily integrated on all glass surfaces. This touchscreen would verify your identity via a fingerprint, iris scan, or some other biometric scan which is secure. If you take a cab, the passenger window can turn into a touchscreen. If you are standing at the bus stop, the glass enclosure can become a touchscreen. While you are riding the bus or train, the window can become a touchscreen. Eventually, there is a possibility of making hard surfaces touchscreens. This way, everywhere you go, you have access to your smartphone capabilities. As far as the digital interactivity goes, the touchscreens can fulfill that. We would still require microphones and speakers to enable phone calls. It would be possible to install a microphone with every touchscreen interface. As for the speakers, there has been a lot of development in omni-directional speakers. These speakers transmit sound in a specific direction, like a laser. With these speakers also enabled in every touchscreen, there would be a possibility of having a private conversation while standing in public, just like we do right now! I don't know how long these technologies will converge together and this future will be possible or even if it ever will happen. But I sure hope it does, and it happens soon. Those would be some exciting times to live in! 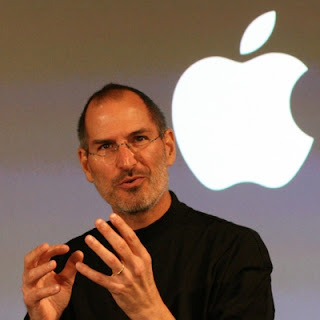 With the recent release of iPhone 5, in my opinion, it is becoming apparent that Apple is really missing Steve Jobs. Within one year of his passing, I have noticed a drastic change in the company's direction. Although I am not a big fan of Apple products, because I tend to look more towards the technical specifications of a product. Now I have realized that the majority of their customers like the look and feel of the product more than anything! This was their main selling point. As a techie, I would be surprised when people kept ogling over a phone, which had substandard technology as opposed to many other phones in the market. Apparently they were just looking at things like how smooth the curves were or how smooth it felt to touch. Within the last year it is becoming more and more apparent that the credit for all of it went to Steve Jobs. His attention to detail really made Apple products stand out. From the iMac to the iPad, it has always been about how it looks. 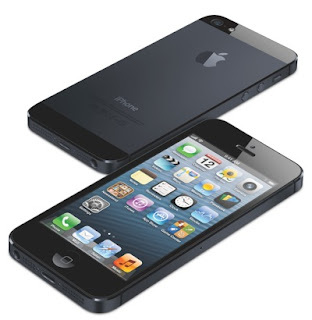 The new release of the iPhone 5, shows how much the company's success relied on Steve Jobs! It is nothing more than a taller version of the iPhone 4S. Would Steve Jobs let them release such an unfinished product? Hard to say, but I personally doubt it. He would have made sure that it is a big change from the previous iteration, and he would have marketed it as such. The fiasco over the Apple Maps has just added to my doubts of Apple's survival without Steve Jobs. As a perfectionist, he would have never let them release such an unfinished product. Add to it, that Tim Cook had to come forward and apologize over the debacle. Going to the extreme of suggesting users to use competitor's products, was unimaginable during Jobs' tenure. 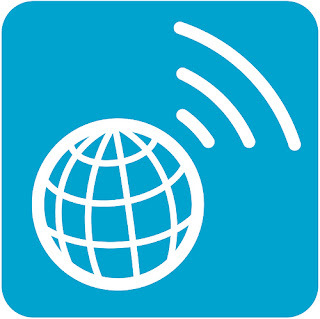 Recently, Leo Laporte on his This Week in Tech show, recognized that even the Maps icon was faulty! It suggests that you jump off a bridge to get on to a freeway. Yes, it is being too nit picky, but wasn't that what Jobs did? In Isaacsons' biography of Jobs, he mentions how in the middle of the night he called one of his designers to fix the gradient of an icon! As a perfectionist, would he have missed such a glaring error? Despite all those mishaps by Apple, the iPhone 5 still sold millions of devices and broke some sales records. The question is: was it because it was marketed right, or was it because of Apple's history of making really good looking phones? If it's the latter, the consumers will eventually wear down and start looking elsewhere. A company cannot rely on its past performance to cover for current flaws for a long time. If this is how Apple continues to "innovate", it might be able to get away with it for another year or two, but eventually it will fail! Hopefully Tim Cook is able to replicate perfectionism of Jobs, or they won't have anything to stand out from the crowd. Yes, even Steve Jobs made mistakes. His biggest being the antenna issue, where he famously said that the consumers were holding it wrong! He might have been a perfectionist, but he was not perfect. What was great about him, was that he was able to sell the next iteration of the iPhone without anyone pointing out the flaws of the previous one! When my husband decided he wanted to pursue a masters degree in the U.S, I wholeheartedly supported him and thought that not only was it a great opportunity for him but it would give me the chance to experience a new place too. Little did I know that this wonderful opportunity came at a price as it meant that as the spouse of an F1 visa holder I would hold the F2 visa as his spouse which clearly states that I would not only not be able to study further in the U.S but also unable to work. We were fortunate enough to be in a position to fund and support ourselves during his course of study but the idea of sitting pretty and doing nothing did not particularly appeal to me. As I had a Masters degree In Design from Australia, my husband egged me on to start building up my online portfolio so when I got to the U.S I could at the very least work online through websites like odesk and vworker, which outsource work worldwide. It came as a great disappointment when we learnt that even that was not allowed due to the visa restrictions placed on an F2 dependent. I did a great amount of research hoping that I could find some way to work to keep myself up to date and fresh, as taking two years off from working seemed ludicrous. To my great dismay there was no such option, to the extent that some online forms went as far as to suggest that one could not even sell an item on craigslist or eBay if you happen to sell it at a greater price than it is worth. I seemed to think that I was facing this highly frustrating situation alone and no one would understand it but after reading the Businessweek article ‘Catch F-2 for Spouses of Foreign Students’ I realized that there were many more qualified professionals out there whose careers were put on hold while they supported their partners graduate school dreams. I felt a tiny bit less helpless. Here were so many qualified and experienced people all going through the same dilemmas I was facing. They were dealing with it in their own unique way from volunteering to using the opportunity to start a family. Some business schools and larger universities also provide great support for the partners or spouses of their students through clubs and support groups but nothing much is offered by smaller colleges or universities. And so I begin my journey to see what the next two years hold for me. I hope to start my own blog to help me record my journey and hope the little things I learn along the way help someone else too. As mentioned in my earlier post, there are many people across the US who are ditching the cable companies for TV and using internet streaming. Even the Verizon CEO has admitted that this is the future for TV. To facilitate streaming on to TV, there are many devices which are being released. Many new Smart TVs come equipped with internet connectivity these days. Google came out with its own Google TV in partnership with LG. It's a 3D TV in prices starting from $815. It has Android apps running on the TV. 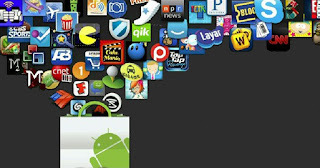 It includes YouTube, Pandora, Chrome, Amazon Instant, Netflix and many others. 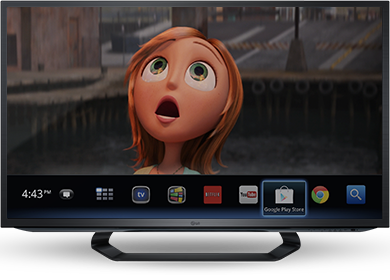 Google TV is also available on devices like Sony Internet Player and Vizio Co-star. These devices enable a regular TV to have the same features as a Google TV (except 3D!). Other TV manufacturers have followed suit and come out with internet-equipped TVs. Leading the TV industry, Samsung has a wide variety of TVs with internet connectivity. A search on Amazon brings up a whole array of Samsung TVs in different price ranges according to screen size and functions. Recently, many companies have started making small devices to give internet connectivity to regular TVs. Some of them are Roku, Western Digital, Boxee, Apple, and recently Netgear. Roku has been in this industry for a long time and has been the cheapest device for internet streaming. Prices starting from $60 make it a truly worthwhile buy. It can play most of the popular internet streaming services, like Netflix, Hulu Plus, Amazon and many others. Although it's lacking YouTube and Vudu services. 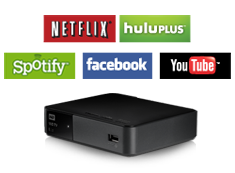 Western Digital recently launched the new version of WD TV Live. It comes equipped with many internet streaming services and other features like playback from USB and wireless streaming from your Mac or PC! The list of compatible files include FLAC, MKV, DivX and even ISOs. With prices starting at $90, this is a good deal if you want internet streaming on your TV as well as stream your collection of movies from your laptop. 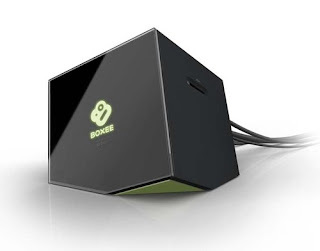 Boxee TV has been an old contender against Roku for the top spot in internet streaming devices. Recently, it hasn't come out with a new device to compete with Roku, which has it displaced from the market. 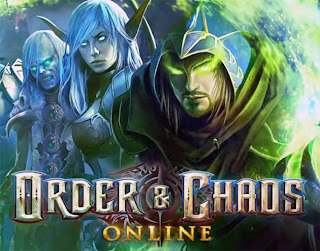 There has been no news coming from this company about any new releases, and it hasn't been mentioned in the blogosphere. From the information gathered on their website, it seems they have most of Roku's streaming service lineup, plus YouTube and Vudu! 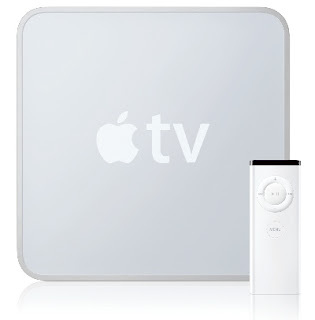 Apple has had its Apple TV device in the market for a very long time. This device is aimed for iOS fans. It's biggest feature is its compatibility with iPads, iPhones and iPods. It uses iTunes, iCloud and AirPlay for this compatibility. Netgear came out with a decent surprise this month. It launched three devices for the internet streaming fans. 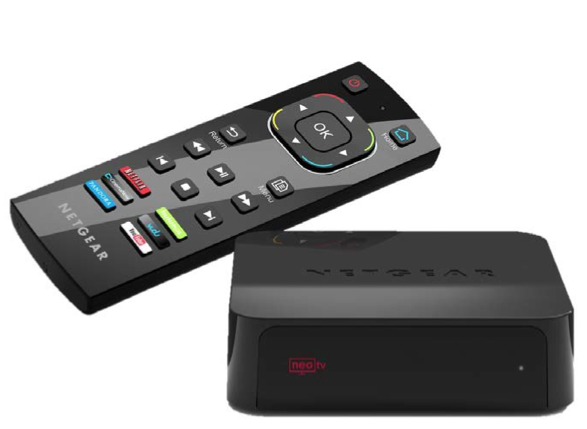 Their NeoTV series starts from $50 and is a very strong competitor to the Roku device. The NeoTV Max (for $70) even has the capability of playback from USB and streaming from DLNA servers. Depending on what your usage is, any of those devices could suit you in making your regular TV internet equipped. If you (like me) would like to also be able to wirelessly stream content from your laptop as well, the NeoTV Max or WD TV Live might be your best options. After recently moving to USA, I decided to buy a used car (on a student budget!). Initially, it seemed to be a very simple task. Go through online listings, filter out according to price and other preferences, test drive and make a decision! Last time I bought a car in USA, was 10 years ago. Apparently, a lot has changed since then. There were several websites I was recommended to check out. Some of the top ones being CarSoup, Cars.com and of course, Craigslist! As it turns out, CarSoup and Cars.com have a charge to post a listing. This causes most private sellers to avoid it. Most of the listings on those websites were from dealers. Since I was looking for an old car, there was no warranty on the car from the dealer, and their lowest prices were higher than similar models being sold on Craigslist by private sellers. Craigslist turned out to be the best resource. 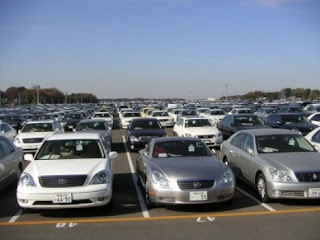 I narrowed the cars listed according to the price filters and that they have to be Japanese made. Since I was looking for an old car, I could only trust a Japanese car to last me a couple of years without additional expenses. This narrowed it down to Honda, Toyota and Nissan. There were quite a few listings for me to choose from. The question was, how to go to different sellers in different parts of the city without a car. So, I needed a car to buy a car! Fortunately, my fraternity brother, Cory, was generous enough to let me borrow his extra car until I could find one of my own! I started calling up sellers on Craigslist and setting up times to go check out the cars. When I actually drove to each one of those places, I realized that driving 30-40 minutes was the norm. To look at each car, driving such distances was exhausting. Could only check out 2-3 cars a day. It felt good to have so many options to choose from. Then I went ahead and got a CarFax membership for unlimited reports for $55. When I went to check out those cars, I realized there weren't as many options as they seemed. Most of the nice cars that I liked either had been salvaged, or had been in a major accident! Finally, I came across a Toyota Camry which had a smooth drive and no problems in its CarFax report either. Only problem was it had a 'Check Engine' light coming on. I decided to get it checked by the Toyota dealership nearby. They charged $135 just to have a diagnostic check! This car buying was turning out to be an expensive proposition, and I hadn't even bought it yet. When I got the report, turns out the car requires a new catalytic converter and some other things. The repairs would have costed almost $1,000. Since I liked the car so much, I was willing to buy it for $500 less than the price agreed upon. But the seller was not interested. Back I went into looking at Craigslist listings. Then I got a call from my friend whose mechanic had a couple of cars he wanted to sell and suggested I have a look at them. This mechanic came highly recommended. A few of my friends had been going to him for more than five years and trusted him a lot. I figured if I buy a car from him, at least he will take some responsibility for any problems that arise later. He showed me a Ford, which I immediately rejected. Then he showed me a Honda Accord which had a minor accident and he agreed to fix it before selling it to me. The demanding price was also well within my budget. It had a clean CarFax report, except for the minor accident which he was working on. We negotiated on the price and I agreed to pay him the money and pick up the car after two days. When the time came around, he asked to raise the price by $200 because we had so strongly negotiated the price that he couldn't afford to replace the bumper with a new one. Since we knew that even with the extra $200, it was within my budget and below market value, we agreed on it. After another couple of days, the car was ready and I was finally the new owner of a Honda Accord! As it turned out, despite going through all the online research and different websites, I ended up buying the car from a friend's mechanic. In hindsight, the online research and checking of different cars was necessary. Otherwise I would have never known if the price he was asking was reasonable or not. American Airlines: Avoid at all costs! Last week, we finally travelled halfway across the globe from Karachi to Minneapolis. According to my travel agent, American Airlines only allows one checked bag per person. Extra checked bag is charged $50 per bag. On the American Airlines website, there was a clause which stated that any customers travelling to or from Asia are allowed two checked bags. I contacted American Airlines on their Facebook page to clarify their terms. According to them, we were allowed two checked bags per person. Between the two of us, that meant four checked bags and two carry-ons. Since we were going for a long-term stay, we needed the most luggage space we could get. I asked them what to do if we were denied two checked bags at the airport. They said, just show a printout of our conversation and it should be good. We showed up at 4 am for our flight at 5.45 am. With six bags in tow, when we approached the check-in counter, we were told there was only one checked bag per person allowed on American Airlines. I told them about my conversation with them but they wouldn't listen. They just printed out their own rules and showed me that it stated we were allowed one bag. After much haggling, I told them I would pay the $100 extra charge ($50 per bag) as I was told by my travel agent. Apparently, even that wasn't allowed. If we wanted to pay extra, we would have to pay roughly $160 per bag! This would amount to $320, for old clothes and underweight bags! I would rather buy new clothes for that much money. Finally, the only option left was to ditch the two bags! I called my dad at 5 am to come back to airport to pick up the two extra bags. He's the only one I could count on who would get out of bed at 5 am and drive back to the airport after dropping me off an hour ago! In the meantime, we opened all six bags and repacked them so as to ditch unnecessary stuff and keep what we needed. We had to put on snow jackets on the plane to avoid taking up space in the bags! It was an ordeal I would never want to go through again! With snow jackets on, two heavy carry-on bags, we ran through security, immigration and customs just to make it in time for boarding. Then going through stopovers at Dubai, London and Chicago with all of this was our own Olympic race! The planes we travelled on were also of very poor quality. The first leg of the flight was via Emirates. From our previous travels, we have noticed that Emirates usually reserves its worst planes for the Karachi - Dubai flight. That didn't surprise us. Since it was a short flight, we were glad it went by quickly. The next flight to London was operated by British Airways. Theirs was the best plane we came across. Comfortable seating, plenty of inflight entertainment and good food. I got to sleep for the most part of this eight hour journey. We thought the next two flights would be similar. We were so wrong! American Airlines flight from London to Chicago was eight hours long in a broken seat! There was no inseat console for entertainment and really bad food. Longest flight we had to encounter. Chicago to Minneapolis was even worse, but since it was only an hour's flight, we couldn't complain much. In both the American Airlines flights, they could not even fit our carry-on luggage and had to check it in. Lesson learned from this journey: avoid American Airlines as much as possible. If I had known it would be this bad, I would have asked my travel agent for some other option! 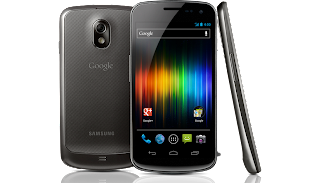 In my anticipated arrival to US next week, I tried ordering a Galaxy Nexus from the Google Play Store in advance. I wanted to get it shipped to my friends' house so I can use it as soon as I get there. Unfortunately, I was denied access from the Play Store because I was accessing it in a country where they don't deliver. For some reason, Google assumes that if someone is logged in from a certain country, they will not be in US any time soon to receive the shipment! So, I used Tor to mask my IP and make Google think that I was logged in from US. This time I was successful in placing the order and I gave my friends' house to get it shipped. Felt excited to have it in my hands as soon as I get there! A few minutes later, I got an email from Google that my order was cancelled because there were some 'discrepancies' in the order. I can only assume that it has something to do with the fact that I was not in US while placing the order. Finally, with no other option, I had to ask my friend to order it for me and I will reimburse the amount to him. It is very strange that Google makes it so difficult for people to order from abroad. As long as someone is entering a US address to ship to, it shouldn't matter! 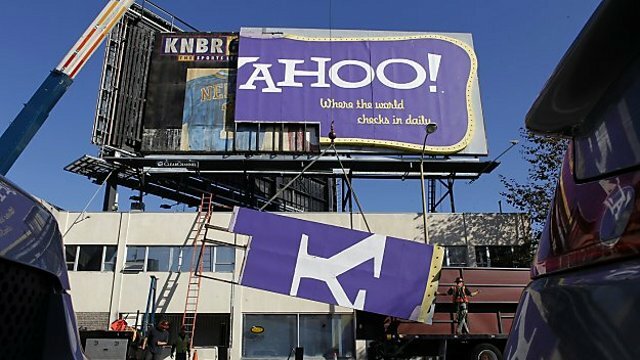 A few days ago, 453,000 Yahoo accounts were compromised. Apparently, Yahoo stores user login and password in plain-text, without encryption! This reminded me that I had long ago created a Yahoo account myself. Since I haven't used that account in many years, I thought I should delete it. I was actually surprised that I entered the correct login and password in the first attempt! After deleting all the junk mail, and obvious signs of it already being hacked, I tried to deactivate the account. Apparently, it's not so easy! First, I tried the 'Account Settings' option. It only has profile information, password security, subscriptions etc. There's no option of deleting your account. Then I tried going into the inbox and going through the 'Mail Options'. As expected, there was only information for routing email, forwarding etc. Finally, I did a Google search for deleting my Yahoo account. I came across this link. Lo and behold, after a couple of password checks, my account "has been deactivated and scheduled for deletion." Why could I not find this link in any of the settings is beyond me. Ironically, I had to use Google to delete my Yahoo account! I first logged on to American Airlines website and entered my booking details to access my reservation. It showed up with both my flights and gave a whole seating chart to let me choose my seat. I went on to Seat Guru to get recommendations on which seats would be the best. But surprisingly, most of the seats were already taken. 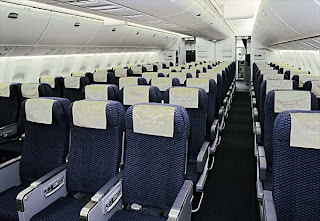 There were a few seats, in economy class, which were empty. I tried choosing them, and lo and behold, there was a $44 extra charge per seat for sitting in those seats. These seats are also in economy class, but they are 'preferred seats'! After paying $2,000 I expected the airline to at least let me choose good seats! Of course, I did not choose those 'preferred seats' and just selected regular seats. I then logged on to British Airways website and accessed my reservation. When I clicked on the 'Choose my seats' selection, I was shocked to know that they charge extra if I want to select my seat! The price for each seat selection is ¥ 3,610. If I don't want to pay extra, I have to wait until check-in and then select seats. If they let the customer choose their own seats, I would assume they would save time at the check-in counter. Hence, less labor costs involved! So, rather than making it convenient for customers (as well as check-in counter staff), they would rather deter customers from choosing a seat and make the check-in counter staff go through the hassle. After being disappointed with two of the airlines, I finally logged onto Emirates website and accessed my itinerary. Since Emirates is usually considered a premium airline, I almost expected there to be extra charges associated with seat selection. Fortunately, they are smart enough to let the customers easily choose their own seats so their check in-staff doesn't have to deal with it! In the recent years, its common knowledge that airlines are suffering such heavy losses that they are trying to make money from customers in every possible way. These include drinks/food on short flights, check-in luggage and now seat selection. 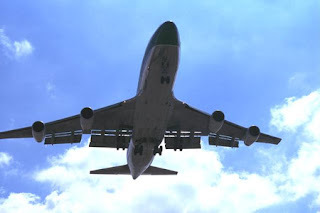 There are some costs which the airline incurs and is justified passing it onto the customer. But seat selection by customer actually saves the airline costs in terms of manpower at the check-in counter. Deterring the customer from this facility does not make any financial sense! 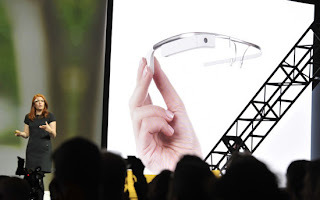 Amid much fanfare, Google did a demo of Project Glass at Google I/O a few days ago. 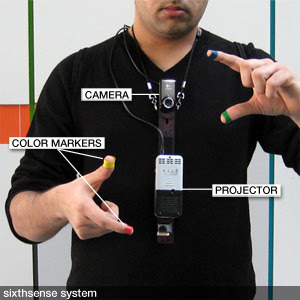 In all this hype, we have lost track of an actual prototype of Sixth Sense demonstrated at TED by Pranav Mistry in February 2009. While Google showed Project Glass' ability to be a wireless webcam, Sixth Sense had potential of being much more! The prototype for Sixth Sense can be constructed for $350 and is completely open source! Considering this demo was more than three years ago, it is surprising that there haven't been many updates on the project. I would have expected it to be much further ahead of Google Glass by now. Pranav had combined all the technologies together and instead of a heads-up display, he used a projector to use any surface as a display. With the availability of fast data connection like LTE and widespread use of wifi networks, it could be used much more easily today. As a prototype, it seemed like a clunky bunch of different devices. With some potential of mass market, it could have developed into a much sleeker version. If he could have kept the price less than $500 and fit the technology into one device, Google Glass would seem like an outdated webcam by now! The biggest announcement on the first day of Google I/O was that Google Glasses will be for sale next year. The futuristic devices seemed at least three to five years away! Despite the high price tag of $1500, it is still very exciting news. Sergey Brin made the announcement with the help of skydivers, bikers and rapellers. All of the performers were wearing a pair of Google Glass and transmitting live feed of what they were seeing to a Google Hangout. The performance was great, especially getting to see it from their perspective in real-time. The specs were not addressed specifically. According to Terrence O'Brien of Engadget, the specs were described vaguely as a "powerful" CPU and "lots" of RAM. As would be expected, it has an accelerometer, gyroscope, wireless radios, mic, speaker and a camera. It also has a touchpad on the side of the device. The tiny transparent display actually sits out a bit to the side of your line of vision to avoid interference with daily life. Developers signed up for pre-ordering of the device at Google I/O. They received a piece of glass with the order number engraved on it. Look forward to seeing it in use next year! At the Google I/O yesterday, as expected, there were a lot of new releases. 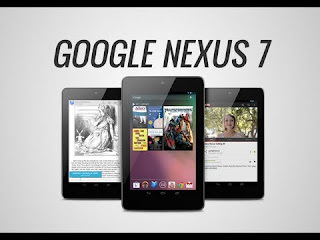 One of those was the launch of Google Nexus 7 tablet. This is the first tablet being launched directly by Google. The Mountain View company partnered with hardware manufacturer, ASUS, to bring this inexpensive tablet. The tablet has very impressive hardware encased, especially considering the low price tags of $199 (8 GB) and $249 (16 GB). Generally, the tablet is being placed as a strong competitor to the Kindle Fire. The Fire has a similar price tag but for out dated hardware. The hardware in the Nexus 7 includes a NVIDIA Tegra 3 T30L quad-core processor running at 1.2 GHz. That's the same processor being used in the high-end ASUS Transformer Pad Infinity priced at approximately $500! It has a 7-inch screen with 1280 x 800 IPS LCD, which gives it the ability to display crisp quality at wide angles. Tim Stevens of Engadget got his hands on the Nexus 7 during the Google I/O and did a video review of the product. The device, at initial glance, is so impressive that I started considering whether I should drop my initial plans of buying the ASUS Transformer Pad and instead go for the Nexus 7. The first drawback of the Nexus is its small size for a fully functional tablet. Another is the maximum storage capacity of 16 GB with no additional memory card slot. Although, the processor and the RAM in both devices are identical! Therefore, if only it had more options in terms of storage and screen size, I would have seriously considered buying the Nexus 7 over the Transformer. 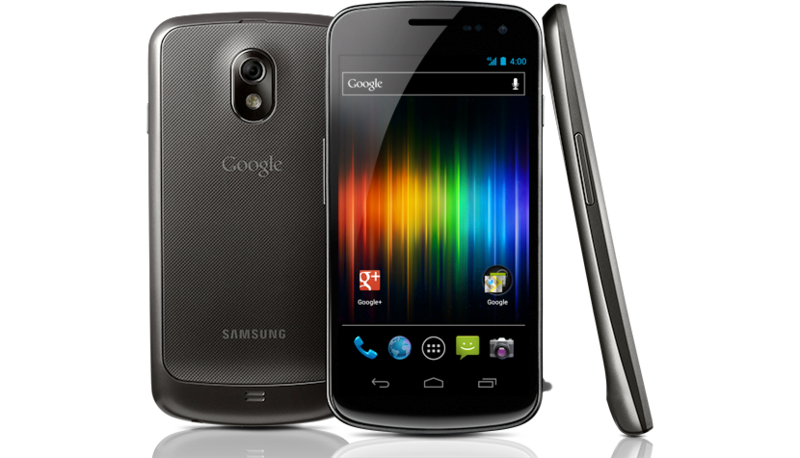 For 16 GB storage, Nexus 7 is costing $249, while the same internal storage in Transformer is costing approximately $370. 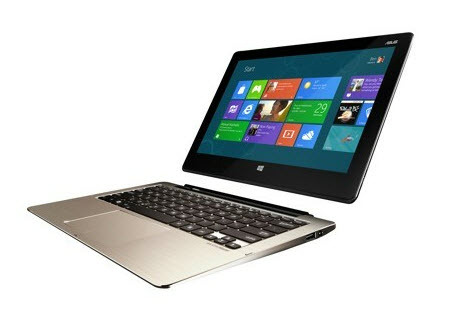 The Transformer has a 10.1" screen and also the option of a keyboard dock, converting it into a laptop. For users considering getting a tablet for fun and convenience, the Nexus 7 would be a must-buy! There are many times when you need to relocate to a temporary location. As I have mentioned previously, we are planning to look for a temporary place to stay during the month of August. After that, we will get a permanent place to live. In the online hunt for furnished short-term apartments, I came across a particularly nice place. It is a one bedroom apartment with complete furnishings and in a very convenient location. They even have included Cable TV in the rent! Surprisingly, the apartment does not have internet access. If we decided on renting this apartment, we would need an internet connection. Getting a cable internet connection would not be a viable option for such a short term. Another option is to get broadband connectivity from cell phone carriers like Verizon or AT&T. However, these require to buy devices for $200 and then sign a 2 year contract. While doing some searching online, I came across a very good option: CLEAR. They have monthly options for $35 and $50, depending on speed required. The devices start as low as $20. So, if we do end up deciding on an apartment which doesn't have internet access, I would probably get a CLEAR connection. Usually, buying a flight ticket for most people is as simple as calling a travel agent and giving the details. For me, with my tendency to research, its not that simple. As soon as I knew I would be making a trip to Minneapolis, I was online, checking different websites for the lowest rate and best route for a one-way ticket. After checking multiple other websites, including the airlines, it was apparent that Expedia was quoting the lowest rates. After that, I called the travel agent I usually get my tickets from. I asked him to give me the best rate and route for a one-way ticket to Minneapolis. He got back to me the next day and emailed me a flight itinerary with the route Karachi - Dubai - Amsterdam - Minneapolis for Rs. 156,400/- The reason he gave for such an expensive ticket was that my port of entry into USA would be Minneapolis and I can go through customs and immigration there. I told him I don't mind going through Chicago and get custom and immigration clearance from there. I gave him the routes that Expedia had suggested. A couple of days later, he gave me a quote of Rs. 86,600/- for route 1 and Rs. 91,800/- for route 2. Since route 1 had less stopovers and also slightly cheaper, I was about to confirm the purchase for the ticket. Coincidentally, there was an advertisement in the newspaper that day for special discounts for student travelers going one-way to USA. It seemed like it was specifically targeted for me, especially the timing for it. I had my doubts it would be any cheaper than the travel agent I was already dealing with. Nonetheless, I called them and asked for a quote for a one-way ticket to Minneapolis. He identified himself as Hasan from One Ten Travels. To my extreme surprise, he gave me a quote of Rs. 67,400/-. I was shocked that there could be such a big difference. The route he had given was route 1, which my travel agent had quoted for Rs. 91,800/-. I contacted him and told him about the new quote. Even he couldn't understand how it could be possible. Since it was such a big difference, he suggested I buy it but be extremely careful of a scam. I contacted the new travel agent and told him to issue two tickets. He insisted that I make the payment before he can issue the tickets. A red flag immediately went up in my head. I told him I cannot make a payment unless I have the tickets and I can verify them. Finally, we agreed on a post-dated check of one week. He makes an appointment and comes to my office and says he will issue the tickets after I give him the check. I was not letting him out of my sight until I get the tickets. He called his office and asked to issue the tickets and then showed me the e-ticket receipts online. I made the check payable to Shamshad Tours. The online tickets only showed the Karachi - Dubai leg of the flights as paid. He insisted that I trust him and these tickets are valid for the entire travel. As soon as he walked out of the office, I forwarded the e-ticket receipts to my travel agent. Next day, he calls me back to give me the bad news that even the airlines have confirmed that these tickets are only valid for Karachi to Dubai travel. There is no other flight booked for it. It became apparent that the person was a con artist! I called him and told him that the airlines had verified that these e-ticket receipts are not valid for the entire travel. He kept insisting that I trust him and take his word that they are valid. How could I, when the airlines are denying it! Finally, he agreed on returning the check and 'cancelling' my tickets. Fortunately, for my travel agent's due diligence, I got saved being scammed out of Rs. 134,400/-! As expected, I told my travel agent to book my tickets for route 1 at Rs. 86,600/- each. As it so happens, there are no seats available on one of the legs of the route. I had to eventually settle on going via Abu Dhabi - London - Chicago. The fact that it cost me Rs. 10,400/- more was not as bad as the fact that I would have to take another stopover in London which could have been avoided. Also, via route 1, I would have landed in Minneapolis at 7.30 pm but via route 2, I land in Minneapolis at 11.30 pm! Lesson learned: When it's too good to be true, it usually is! Microsoft made another major announcement yesterday. Not as big as the launch of Surface, this was the release of Windows Phone 8. For most people, any version of Windows Phone is (hopefully) a mobile version of the popular desktop OS. 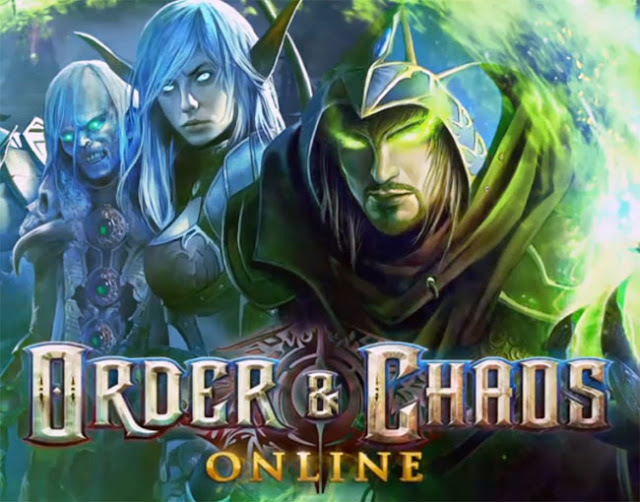 This would mean that the users would get the same familiar user interface on their mobiles as their desktop computers. 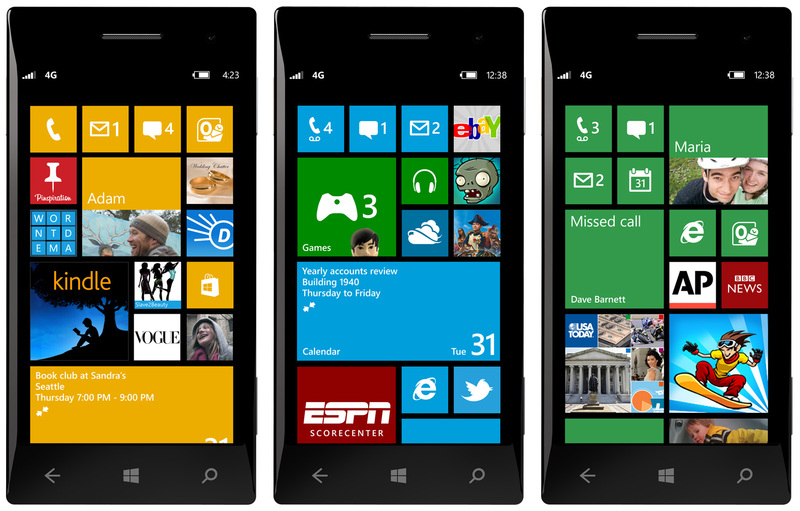 Windows Phone, from the beginning, has used its format of Tiles to display information. Recently, with the new Windows OS for desktops (and especially for tablets), they have used a similar format. It is an effort at seamless integration for users using Windows desktops, laptops, tablets and now phones. Currently, Windows 8 for computers has not become very widespread. The tablet (Surface) has yet to hit the shelves. Smartphones running Windows Phone 7 have not gained too much momentum either. Time will tell whether the average user buys into the whole Windows ecosystem of laptops, tablets and phones. The Windows Phone 8 release was extensively covered by Engadget. The WP8 has used the basic kernel from the desktop OS. This will ensure developers will be able to use the same code while developing apps for the desktop as well as the phone. Microsoft has made a very good decision by making it so easy for developers. Now when WP8 comes out, it will come with a large number of apps ready to be installed. The strange thing about this release, is the announcement that none of the Windows phones currently being sold, will have the ability to be upgraded to WP8. 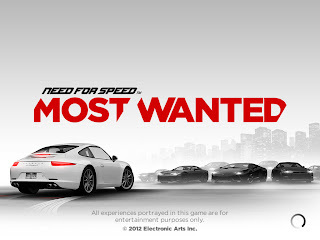 For the current users, they released Windows Phone 7.8. Basically, its just a taste for the current users, to encourage them to buy a new phone after WP8 launches! So, any customers who are even buying a Windows Phone now, already know that its outdated! They have just used their current users as guinea pigs to test what works and what doesn't, and then left them hanging on to an obsolete phone. I would be surprised if current Windows Phones sales don't plummet. The WP8 promises a lot in terms of high-end hardware support, high-res screens, multi-core support, more handset customization and a good browser. Whether it will deliver or not, remains to be seen. 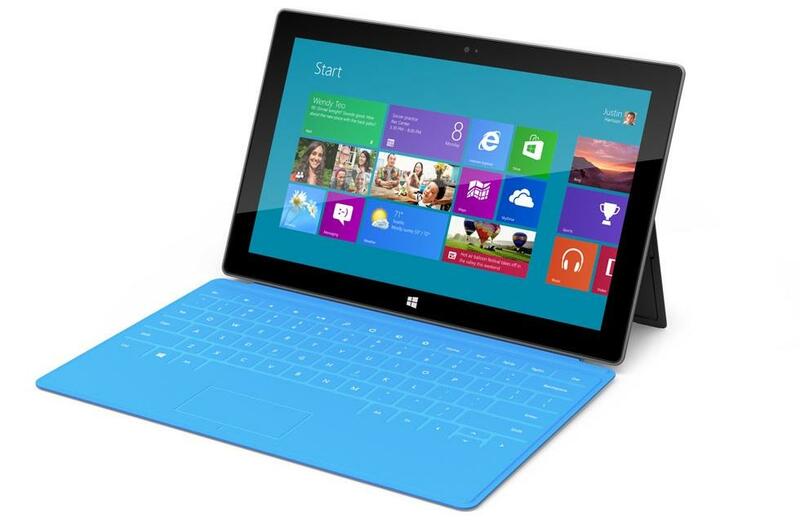 Yesterday, Microsoft announced its entrance into the tablet market. 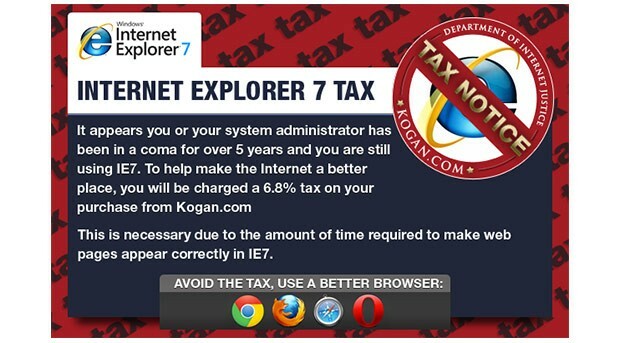 A bit too late I think! The secrecy that shrouded the event added to the hype for what mysterious product they were planning to launch. Even the location of the event was kept secret until the day of the event. Tom Warren of The Verge covered the announcement in great detail. The launch was held at Milk Studios in Los Angeles. The CEO of Microsoft, Steve Ballmer, introduces a video of the company's history in the hardware arena. The Microsoft Surface is supposed to be a companion of the new Windows 8. There are two versions of the Surface launched. One powered by Intel's 22nm Ivy Bridge chips running Windows 8 and the other powered by ARM's chipset running Windows RT. A detailed side by side comparison of both versions are shown here. I think its a very good idea to make a tablet with a physical keyboard. I've discussed in my earlier post, that a physical keyboard is necessary if you want to write a long email or document. The virtual keyboard can only go so far. Adrian Covert of Gizmodo did a very good review of the technology being used in Surface's keyboard. From the looks of it, it seems like a rubber keyboard with no tactile response. If that's how it is, it would be very similar to typing on a touch screen. According to Adrian, the pressure sensitivity of it works very well. It can sense if you are typing or just resting your hands on it. The way it magnetically attaches to the Surface, is very similar to the iPad's Smart Cover. Add to that the VaporMG kickstand, it converts a tablet into a very thin (and hopefully sturdy!) laptop. The technology that was demonstrated at the launch shows it to be an iPad-killer. But they have not specified any pricing details. It wouldn't be surprising that the reason for that would be because it's so expensive. If Microsoft prices the Surface really high as compared to the iPad, it would be hard for it to gain any significant market share. Taking into account users' familiarity with Windows OS, people in the market for a new laptop or tablet would be eagerly waiting for the Surface to launch. Hopefully, it will be within their budget! All of my friends have health insurance through their employers. Since I won't be having a job when I get to Minnesota, I have to find a reliable (and affordable!) health insurance provider. My university recommended Student Assurance Services. Their coverage plan costs $5070 annually for me and my wife. We are both more than 30 years old, which is a higher cost bracket as opposed to under 30 years. Even though the costs are extremely high, their medical benefits cover more than most other insurers. Most injuries under $5000 are 100% covered while between $5,000 and $50,000 are 80% covered. Given such high costs, I wanted to make sure we were getting the best deal there was. Even though there are many insurers willing to insure for as little as $100 per month, the coverage they provide in case of sickness, would make me end up paying thousands of dollars. The Minnesota Department of Health has taken a very good initiative and gives comparisons of most health insurance providers in the state on its website. The comparison provides sorting by monthly premium, maximum out-of-pocket, annual deductible etc. The comparison chart has insurance coverage starting as low as $105 per month. But these have deductibles as high as $30,000! The higher premium I am willing to pay, the lower the deductible. So I have to settle at a mid-point where the premium is affordable and so is the deductible. Another good website offering a similar service of insurance comparisons is American Visitors Insurance. This website primarily focuses on visitors and students from abroad. They gave me three options of different insurance companies with monthly premiums ranging between $125 to $160. The deductibles are $50 to $100. The limitations of these insurance providers are: (a) they are primarily for foreign travelers, and (b) the maximum insurance they provide is for one year. I think I will get an insurance coverage from one of them for the first semester or two. Earlier, I had written a blog post about the different pros and cons while comparing a Tablet, Laptop and Ultrabook. In the end, I had mentioned that the ASUS Transformer series have good functionality where I can use it as a tablet as well as a laptop. Well, at Computex 2012, ASUS showed off a new range of the new Transformer series. These are called Transformer Book. Dana Wollman of Engadget did a review; ASUS announces line of Transformer Books. The biggest difference between the previous Transformer range is that the Book runs Windows 8. For Windows fans, this would be a perfect replacement for laptop and tablet. These also come in three large sizes: 11.6, 13 and 14 inches! The sizes would easily define their functionality more as laptops than tablets. Also, they are installed with Intel Core i7 Ivy Bridge processors. The specs are on par with most current laptop specs. ASUS has not mentioned any details about prices as yet. In fact, the demos show only prototypes. There is a chance that the final product might be slightly different. I would expect the price range to be around $400 - $500. Add a $150 keyboard dock to it. It still ends up being much cheaper than getting a laptop and tablet separately with similar specs. Initially, when I started writing this blog last month, I had no idea what to write about. I had been thinking of starting a blog for at least six months but couldn't decide what the subject should be. Then I came across a blog post by Chris Storm "366 or How I Tricked Myself into Being Awesome" and he had a very good suggestion. According to him, the blog should be generic, and every post should be about a different topic. It was a very good idea and I picked up on that. After writing a few posts, I realized that most of my blog posts ended up being about technology. 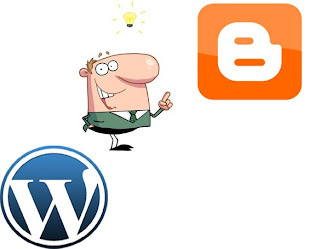 Even though there were some posts which were not tech related, but most of the posts had shaped my blog as a tech blog. That's when I decided that I should define it as a technology blog.